Music with friends of Pangea FC and Barrio Manouche, photography by Marc Hors, and films by Miguel Angel Astudillo. 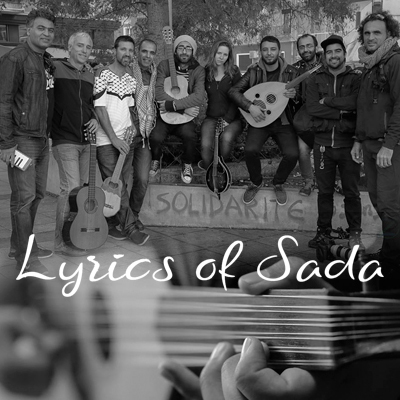 Lyrics of Sada is an international sonic journey of storytelling and cultural exchange through original music led by refugee musicians and supported by Bay Area artists. We’ll hear the first ever live performances by local talent of original music written by refugees across the globe. We’ll premiere the first film about a Syrian vocalist living in Athens, Greece followed by a question and answer session with refugees live, via skype. Directed by Miguel Astudillo Hirsch, produced by Hassan El-Masri, and with photographs by Marc Hors, AMALI follows a young multifaceted artist, Hussain Badran, who navigates Greek society in the chaos of what is known to be “refugee crisis.” Hussain, like many refugees, is currently waiting for an answer from European authorities to his request for political asylum. While he remains in Athens, he supports himself as a visual artist has become an essential voice in a collective of displaced musicians. These musicians have written and composed two original songs in collaboration. One of the songs is a poetry peace written by a Syrian poet أحمد عبد الرؤوف “Ahmed Abdel-Raouf”, who is currently living in a Syrian town called Ras Al-Alin where Hussain Badran was born.